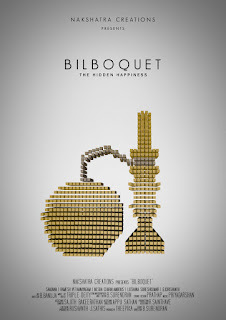 3rd Navi Mumbai International Film Festival NMIFF-2016 welcomes the submission of Professional Shorts "Bilboquet" from UK, Directed by Surendran Balasubramaniam. The impact of modern technology affects the family relationship, a life without it can bring out the happiness hidden within them. 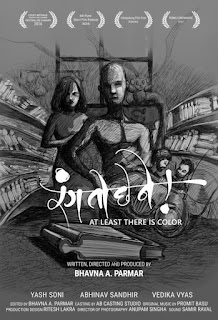 3rd Navi Mumbai International Film Festival NMIFF-2016 welcomes the submission of Student Shorts "Utarand" from India, Directed by Ganesh Suresh. 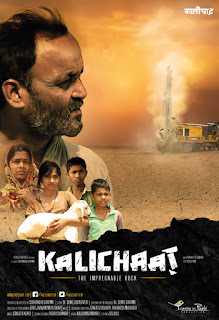 It is based on relation of boy & plant who is fighting to save environment. 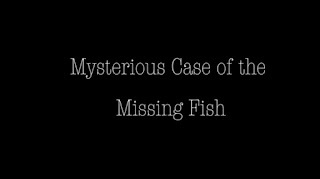 3rd Navi Mumbai International Film Festival NMIFF-2016 welcomes the submission of Student Shorts "Mysterious Case of the Missing Fish" from Pakistan, Directed by Nabeel Ali. After a traumatizing incident, the housemates are trying to solve the mystery for the person responsible by exposing each other's secret. Meanwhile Nasim is figuring out who ate his fish. 3rd Navi Mumbai International Film Festival NMIFF-2016 welcomes the submission of Professional Shorts "Nimitham" from India, Directed by S.K Praveen Krishnan. A Mysterious Expedition of 'Suhas' (Rakendhu Kumar) who lost his memory & got trapped in an unfamiliar area. In the quest, augury takes him to a different phase and awakened his inner self, his forgotten past & ultimately witnesses the untold reality. 3rd Navi Mumbai International Film Festival NMIFF-2016 welcomes the submission of Professional Shorts "Every Drop Counts" from India, Directed by Dhimant Vyas. 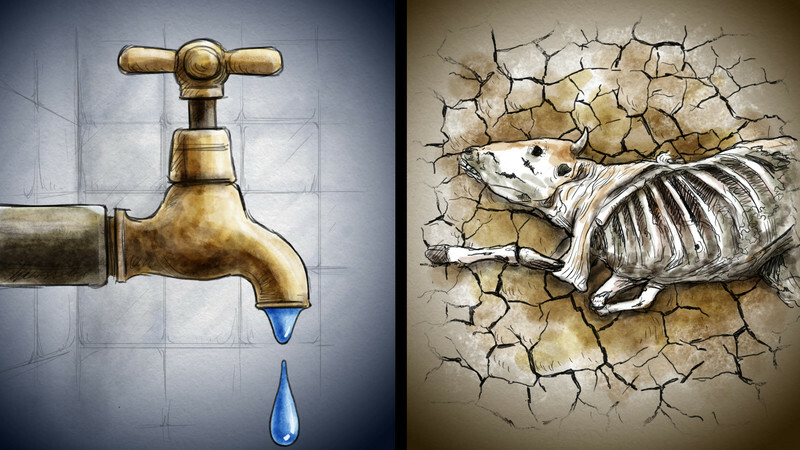 For most of us living in cities with dependable amenities, drought is something we see on TV or read on newspapers. Even if not for all the 24 hours, water does come to our houses and taps. This probably gives us an emotional distance from the people, animals, birds and landscapes affected by a drought. Because of this, we fail to understand that our actions have an impact too! 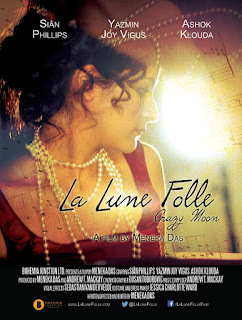 This film is an attempt to build that bridge. 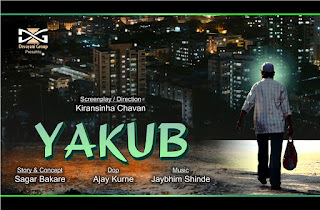 3rd Navi Mumbai International Film Festival NMIFF-2016 welcomes the submission of Professional Shorts "Mazya Gurujichi Gadi" from India, Directed by Ajay Patil. Teacher should love and understand every child. 3rd Navi Mumbai International Film Festival NMIFF-2016 welcomes the submission of Professional Shorts "She" from India, Directed by Srishti Mukherjee. 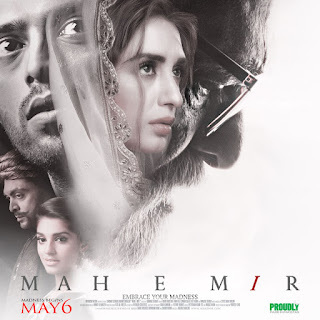 The story is about a writer who is facing existential turmoil and is visiting his counselor for resolving it.On one of his visits, he narrates the story of the novel that he is currently working on. He narrated the story of a girl who felt the same as the writer and eventually one fine day fell in love with a boy whom she saw in a cafe. 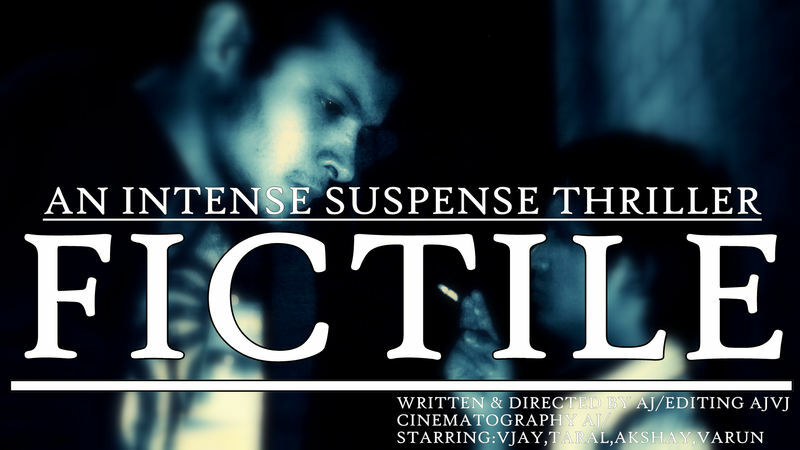 3rd Navi Mumbai International Film Festival NMIFF-2016 welcomes the submission of Student Shorts "Fictile" from India, Directed by Ajay Sagar. 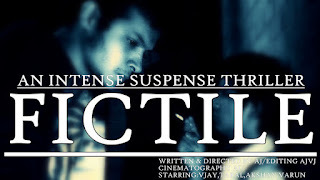 An Intense suspense thriller in which a broke University student leads his coward friend to rob an apartment in the university housing with a "PLAN". 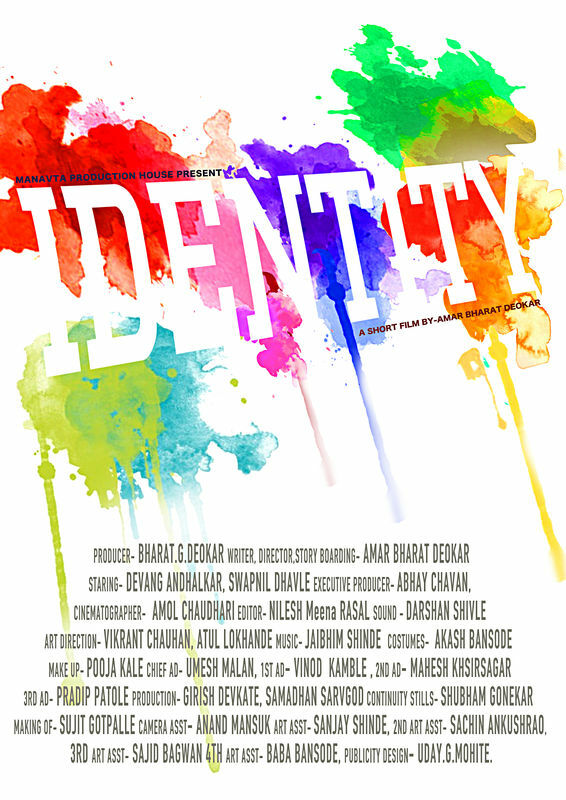 3rd Navi Mumbai International Film Festival NMIFF-2016 welcomes the submission of Professional Shorts "Identity" from India, Directed by Amar Bharat Deokar. Holi arrives just after the religious turmoil and on the backdrop of curfew. Sachin and Karim, both in 4th standard, want to play holi. Opposition from family members gives rise to various questions like 'who are we? What exactly is the difference between two of us?' They start questioning their existence. This struggle itself leads them to answers of questions they were asking about their existence. 3rd Navi Mumbai International Film Festival NMIFF-2016 welcomes the submission of Feature Film "Scarves of History" from Argentina, Directed by Nicolás Valentini & Alejandro Haddad. Nora Cortiñas (a member of ‘Mothers of Plaza de Mayo’) is invited to Turkish Kurdistan. The reason for that is to support the fight of the Mothers of Peace whose sons and daughters disappeared under the Turkish State. This Argentinean mother speaks on behalf of the Mothers of Peace, demanding international justice before the United Nations. The cultural and political situation lived by Kurdish women in Turkey will show that “justice” is a crossroads between suffering and life. 3rd Navi Mumbai International Film Festival NMIFF-2016 welcomes the submission of Professional Shorts "Rizwan" from India, Directed by Tanvi Gandhi. Rizwan, a man in his early nineties lives with his trusted companion 'Shera' (his pet dog) away from civilization. Surrounded by nothing but nature in the heart of an isolated forest. The story comes to a close as we learn a secret about Rizwan, and what makes him special. 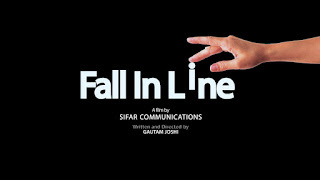 3rd Navi Mumbai International Film Festival NMIFF-2016 welcomes the submission of Professional Shorts "Fall in Line" from India, Directed by Gautam Joshi. Nature makes everyone different. But most of the education systems try to make them same. Even parents are part of it. The process is such, that innate talent is killed and no one even realizes it. 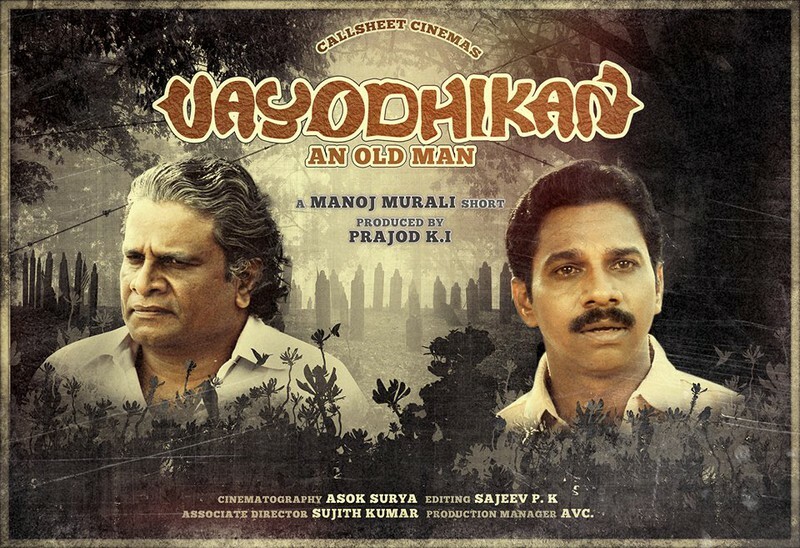 3rd Navi Mumbai International Film Festival NMIFF-2016 welcomes the submission of Professional Shorts "An Old Man" from India, Directed by Manoj Murali. Vincent - Seventy years old, has witnessed the deaths of almost all of his loved ones. 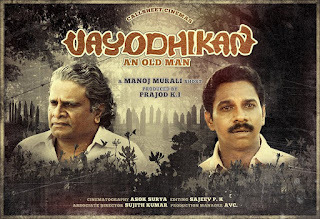 This leaves him depleted and in this old age he seeks new meaning for life, which leads him to Renjith, an emotionally shattered young man. 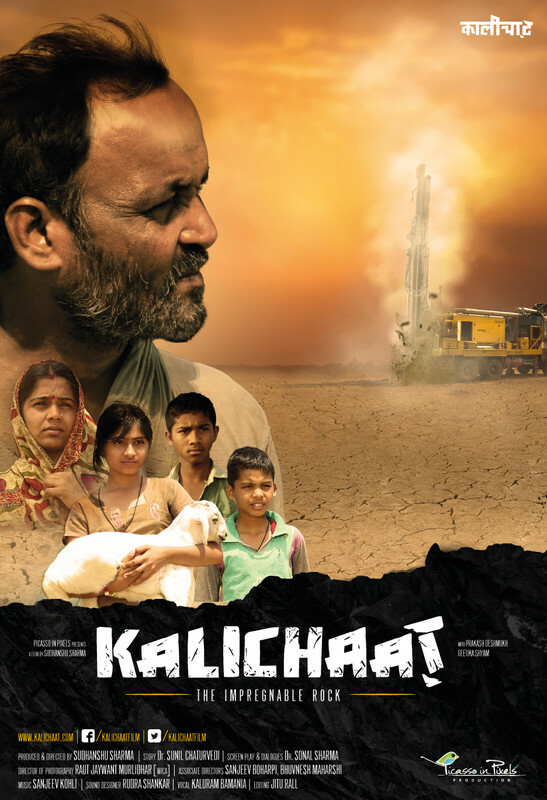 3rd Navi Mumbai International Film Festival NMIFF-2016 welcomes the submission of Feature Film "Kalichaat" from India, Directed by Sudhanshu Sharma. In the Malwa-Nimar region of Western Madhya Pradesh (An Indian State), ‘Kalichaat’ is the name for a kind of exceptionally hard rock. Encountering it while digging for water is considered no less than a disaster in this ofteh drought-affected region. At the same time, it also presents a ray of hope because it is believed that beneath ‘Kalichaat’ lies boundless water, if it can be broken to reach it. 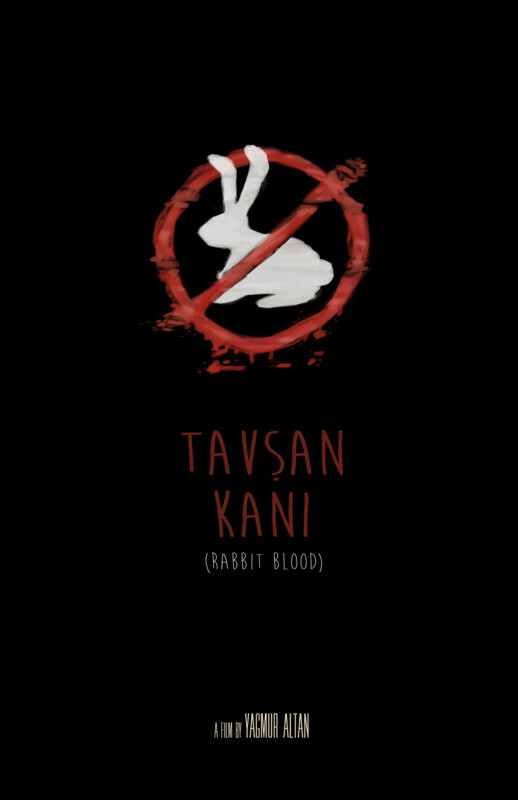 3rd Navi Mumbai International Film Festival NMIFF-2016 welcomes the submission of Student Shorts "Rabbit Blood" from Turkey, Directed by Yagmur Altan. 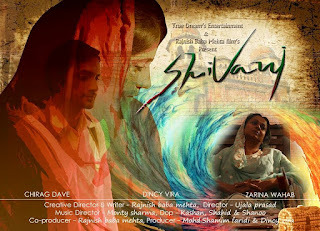 3rd Navi Mumbai International Film Festival NMIFF-2016 welcomes the submission of Professional Shorts "ShalinIndia" from India, Directed by Aakash Motiani. 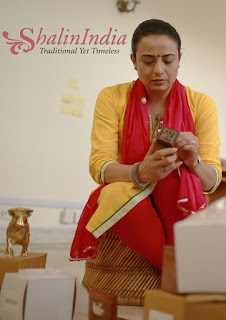 Shalini dreams of building a global online business selling Indian products. When going gets tough for her, her husband Sanjay quits his job to build on his wife's dream. The trials and tribulations of the couple and the subtle ups and downs of their emotional relationships have been sensitively captured in this brand marketing film. 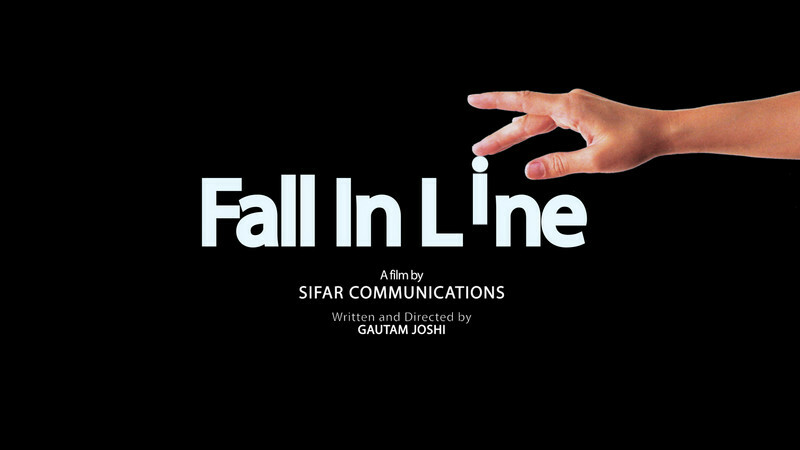 Watch this short movie to get a feel of the roller coaster ride in an entrepreneur couple' journey through life and career. 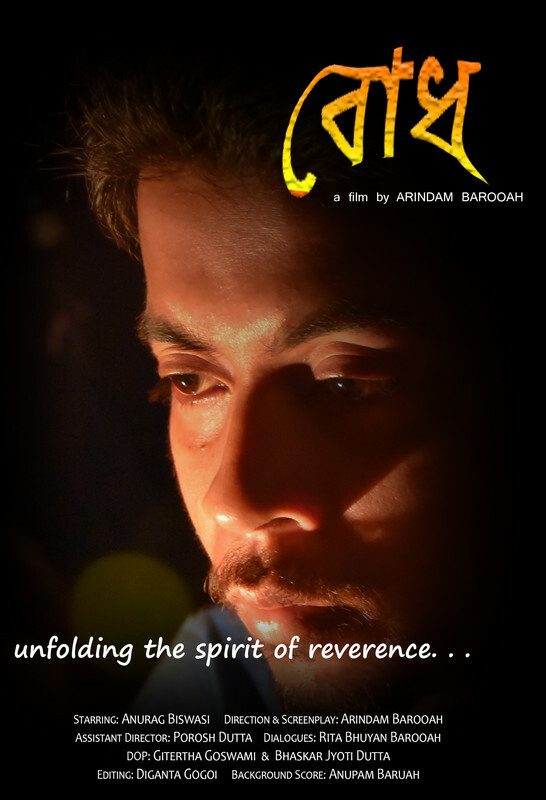 3rd Navi Mumbai International Film Festival NMIFF-2016 welcomes the submission of Professional Shorts "Bodh" from India, Directed by Arindam Barooah. 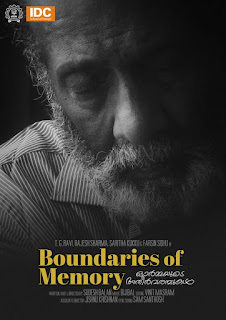 "Your Guiding Hand On My Shoulder Will Remain With Me Forever" An emotional short film revolving a son’s utmost appreciation and realization towards his father’s essence. 3rd Navi Mumbai International Film Festival NMIFF-2016 welcomes the submission of Professional Shorts "The Wish" from India, Directed by Tuhin Mukherjee. This story is about two kids and their poor village family who want to buy Jalebi (sweet) but cannot afford. 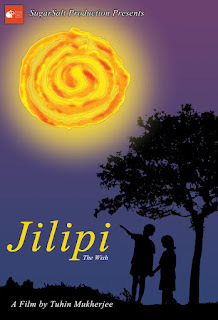 The story continues with their journey of getting the Jalebi. Will they be able to have it or the desire remains the same. 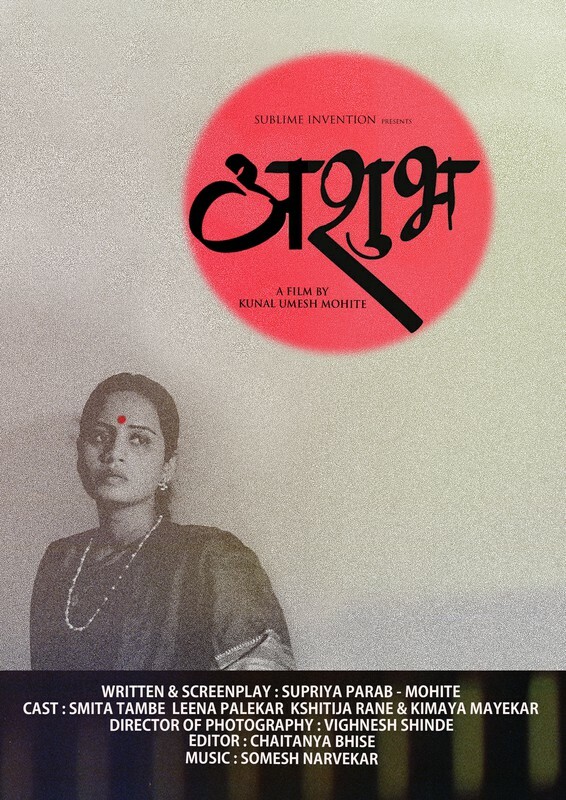 3rd Navi Mumbai International Film Festival NMIFF-2016 welcomes the submission of Professional Shorts "Ashubh" from India, Directed by Kunal Umesh Mohite. 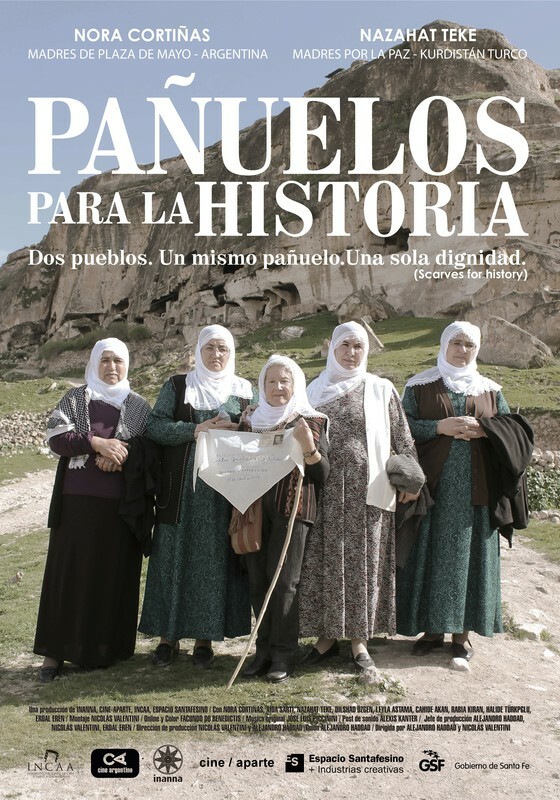 Based on widows ,This film portrays they have all rights to continue their life as normal as other women on their own terms. 3rd Navi Mumbai International Film Festival NMIFF-2016 welcomes the submission of Feature Film "Kawala" from India, Directed by Nivas K. More. ‘Kawala’is the offering of ill-belief of a middle-class family, which disturbs and leads to unlimited consequences & ill-belief of Narayan who ultimately performs ritual to ‘kawala’, ‘कावळा’...! 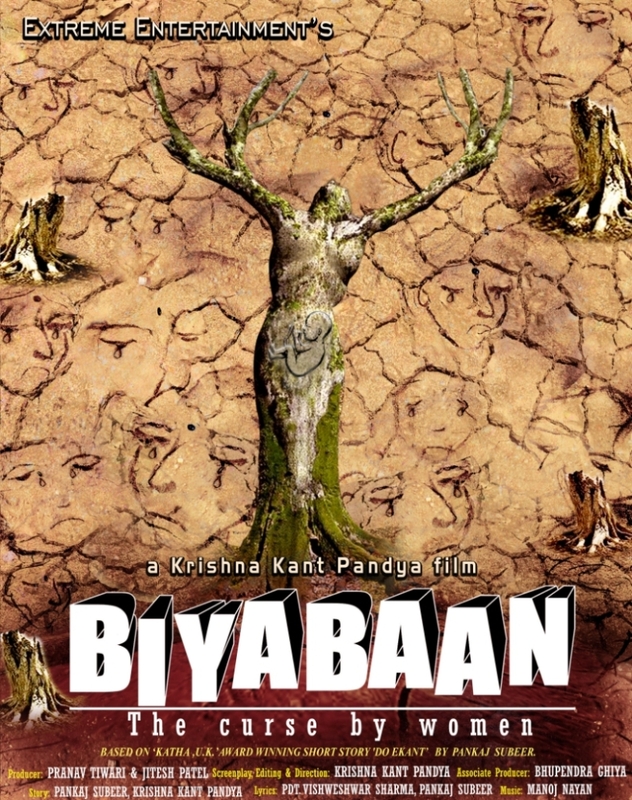 3rd Navi Mumbai International Film Festival NMIFF-2016 welcomes the submission of Feature Film "Biyabaan" from India, Directed by Krishnakant Pandya. 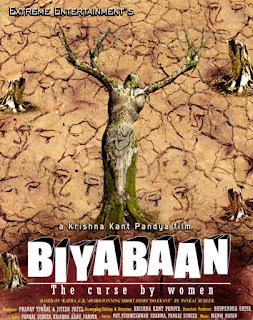 BIYABAAN- The Curse By Women, is the story of the isolation that men will be left with when there will be no women. In a world where a practice like female foeticide has been going on for generations, there comes a generation that hasn’t seen a woman - neither as a mother, nor sister, nor wife. It is the story of that generation and of their frustrations and desperation. 3rd Navi Mumbai International Film Festival NMIFF-2016 welcomes the submission of Feature Film "Pijjya Munne" from India, Directed by Raj Birmod. India is emerging as a developing country. But though we have reached the era of a modern science and technology certain old beliefs have not yet changed. PIJJYA MUNNE is an effort to uncover another side of the India, where we must concentrate to eradicate the evil of blind faith and superstitions. 3rd Navi Mumbai International Film Festival NMIFF-2016 welcomes the submission of Professional Shorts "Gandya" from India, Directed by Sandesh Ahire. Gandya is a poor boy with extra ordinary thoughts but the villagers & society do not understand & accept his thoughts. 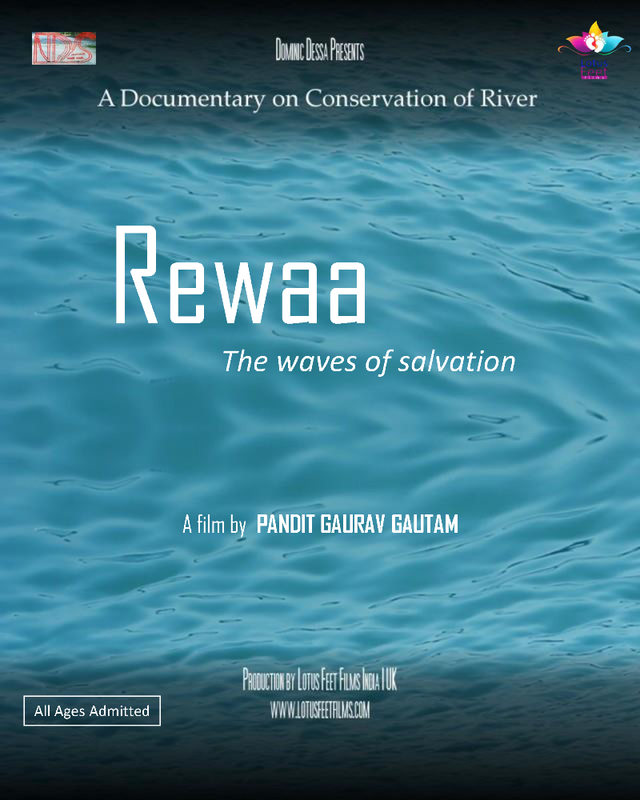 3rd Navi Mumbai International Film Festival NMIFF-2016 welcomes the submission of Feature Film "Rewaa" from India, Directed by Pandit Gaurav Gautam. 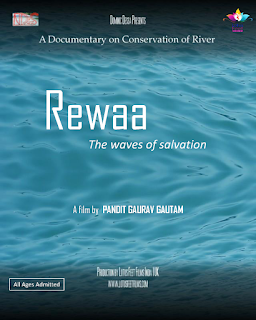 Rewaa the documentary with International Scientific Value. An Incredible Movement for Conservation of ‘Holy River Narmada’ at all over With Guidance & Blessings of ‘NDYS’ Conservator & His Divine Holiness Shri Sudesh ShandilyaJI” Initiative by NDYS'ss. Narmadiye Yuva Shakti Sewa Samiti established in September 2009 in Madhya Pradesh Bhopal. A group of more than 6 thousand volunteers spreading Awareness in common people, & Working at all over India with full enthusiasm,devotion, mutual harmony, dedication in ritualistic way. 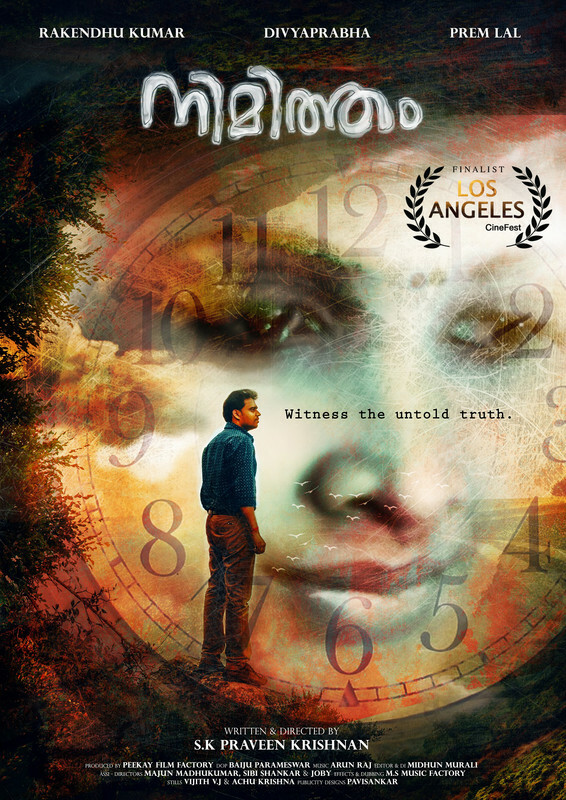 3rd Navi Mumbai International Film Festival NMIFF-2016 welcomes the submission of Feature Film "Gods in Shackles" from Canada, Directed by Sangita Iyer. 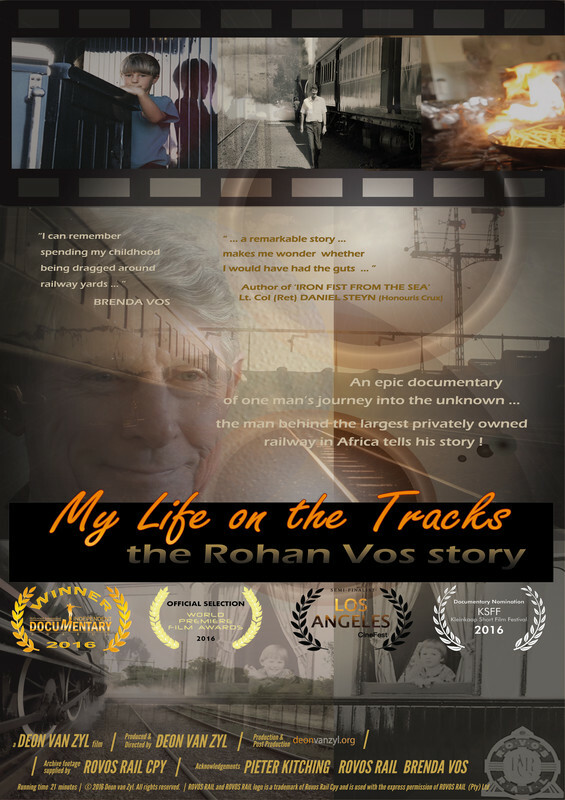 3rd Navi Mumbai International Film Festival NMIFF-2016 welcomes the submission of Professional Shorts "My Life on the Tracks" from South Africa, Directed by Deon van Zyl. During the golden era of steam train travel, Rohan Vos started Rovos Rail with only 4 passengers on the first trip. Today Rovos Rail is hailed the most luxurious train in the world, travelling to some of the most exotic destinations in Africa. What is quite incredible is that for Rohan , the rail business was never intended to be, but before he knew it, the journey had begun ... there was no turning back and no way out ! In 'My Life on the Tracks - The Rohan Vos Story' Rohan Vos tells his remarkable story in his own words, sharing some intimate and personal details in vivid detail never told before. Intimate interviews with family and employees add authenticity to this timeless piece of African rail history. 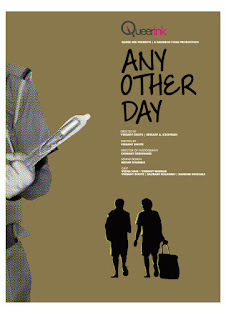 3rd Navi Mumbai International Film Festival NMIFF-2016 welcomes the submission of Professional Shorts "Another Day in Paradise" from Switzerland, Directed by Bellopropello. 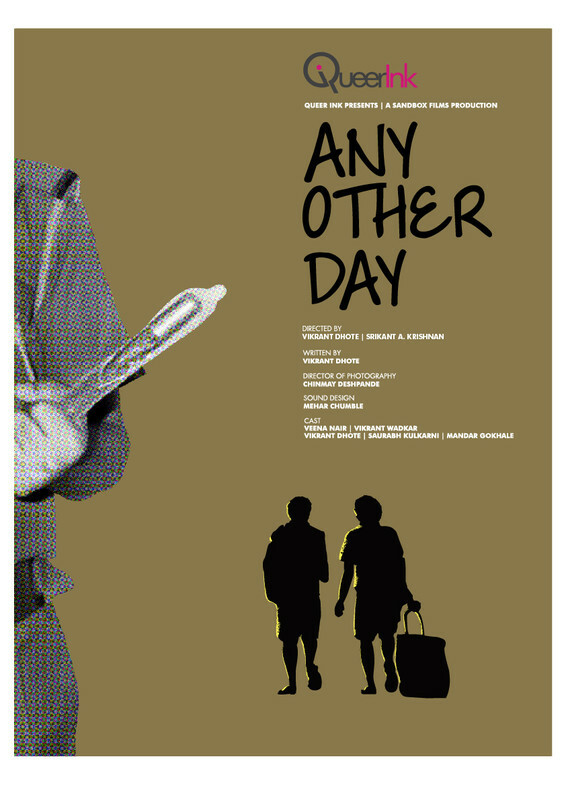 3rd Navi Mumbai International Film Festival NMIFF-2016 welcomes the submission of Professional Shorts "Any Other Day" from India, Directed by Vikrant Dhote & Srikant Krishnan. Where are we to turn when the ones sworn to protect us are the ones against whom we must be protected? It was just another day for Kabir and Arnav. But their lives take a turn for the worse when two cops decide to make a spectacle of them. 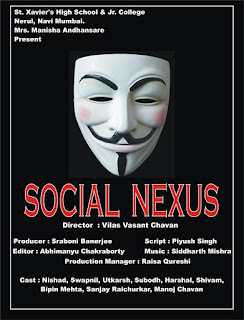 As the night unfolds, help comes from an unlikely source who goes on to unmasks the hypocrisy of our society. 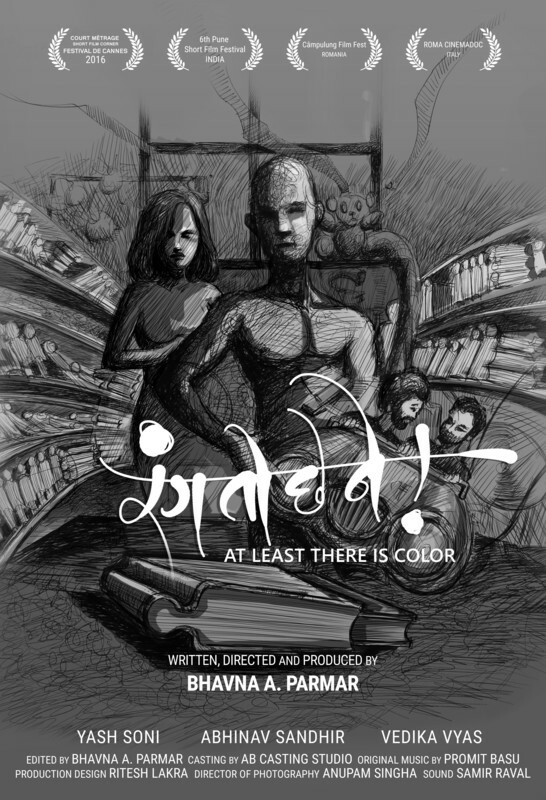 3rd Navi Mumbai International Film Festival NMIFF-2016 welcomes the submission of Professional Shorts "Garbage" from India, Directed by Anand Prakash. 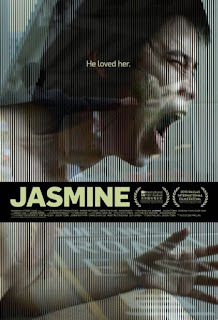 An emotionally numb garbage collector gets increasingly infatuated by a troubled actress who has moved into the apartment building where he works. Meanwhile a poor slum kid’s desire to eat pizza takes him on a journey of a lifetime. 3rd Navi Mumbai International Film Festival NMIFF-2016 welcomes the submission of Feature Film "Mahemir" from Pakistan, Directed by Anjum Shahzad. 3rd Navi Mumbai International Film Festival NMIFF-2016 welcomes the submission of Professional Shorts "Zerno" from Ukraine, Directed by Ksenia Bugrimova. Perhaps she wanted to love. She could imagine very accurately what kind of man she wanted. She visualized him piece by piece. But what to do if you are already almost 30 and you’ve never met a perfect companion in real life! 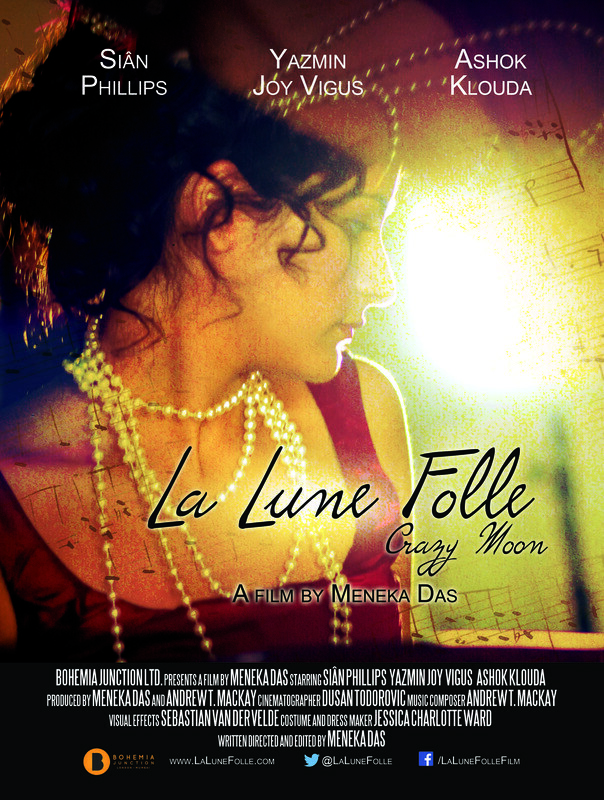 3rd Navi Mumbai International Film Festival NMIFF-2016 welcomes the submission of Professional Shorts "La Lune Folle" from UK, Directed by Meneka Das. 3rd Navi Mumbai International Film Festival NMIFF-2016 welcomes the submission of Professional Shorts "One Request" from India, Directed by Vijay Desai. A child is requesting for Gods number,whats the reason? 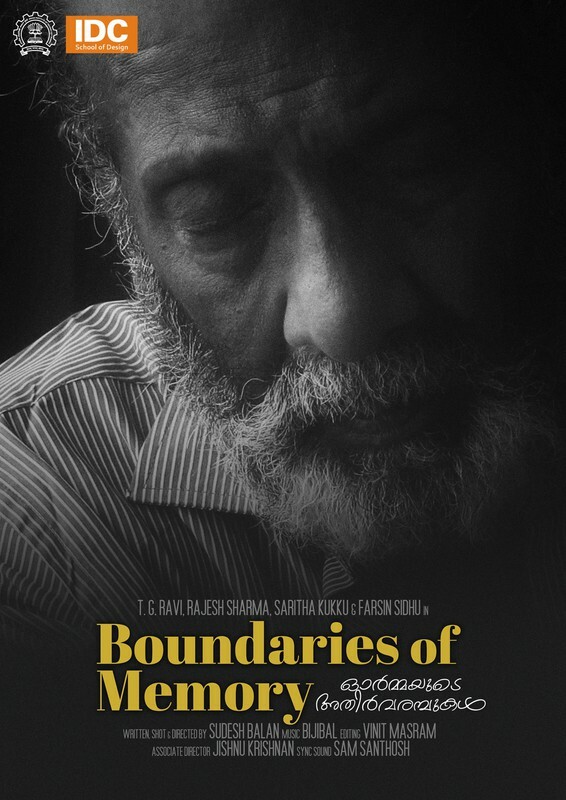 3rd Navi Mumbai International Film Festival NMIFF-2016 welcomes the submission of Professional Shorts "Boundaries of Memory" from India, Directed by Sudesh Balan. 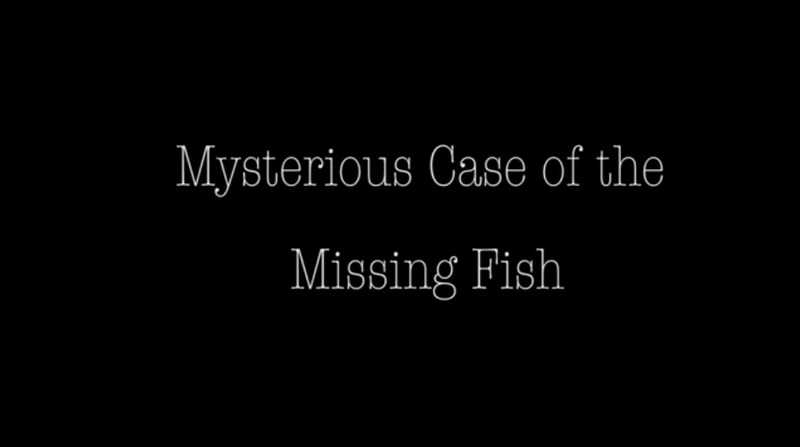 An elderly person's search for a son, whose name is resonating in his fading memory. 3rd Navi Mumbai International Film Festival NMIFF-2016 welcomes the submission of Professional Shorts "Bhaag Boss DK" from India, Directed by Huzifa Ali. A stranger giving a lift to a unknown gentlemen..see what happen next. 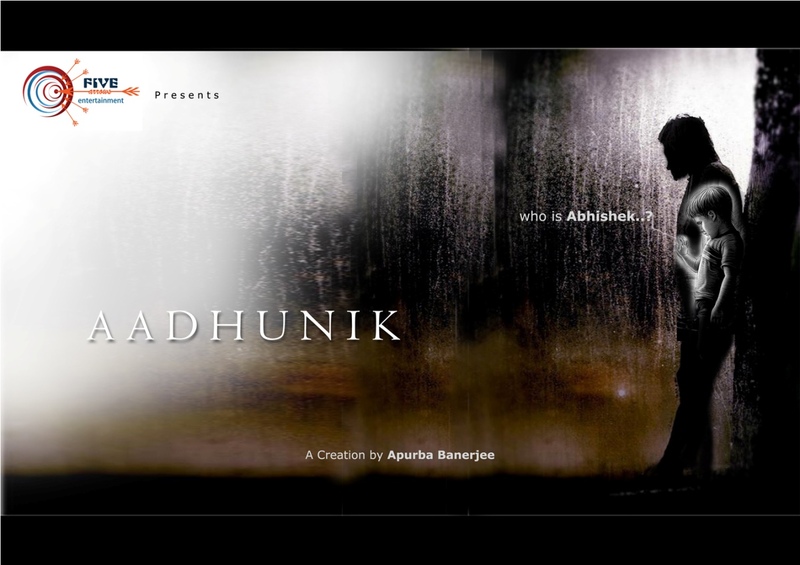 3rd Navi Mumbai International Film Festival NMIFF-2016 welcomes the submission of Feature Film "Aadhunik" from India, Directed by Apurba Banerjee. Aadhunik is a story of relationship and humanity. Aadhunik means modern. 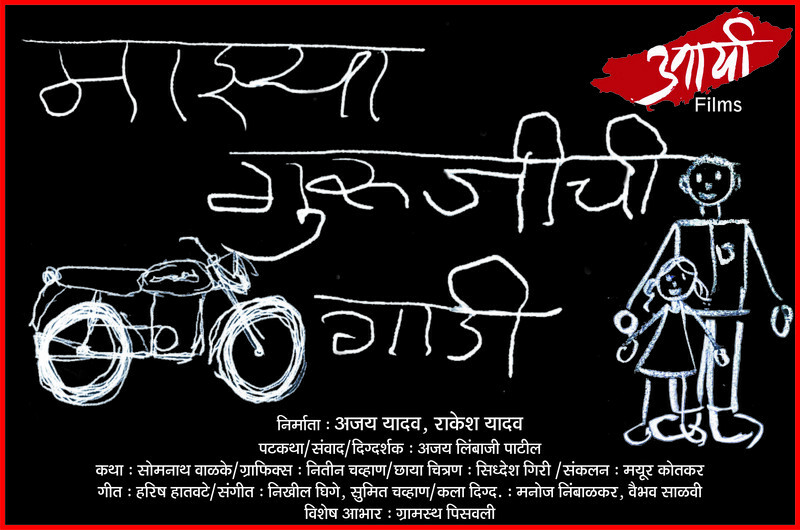 The story revolves around a simple question are we really modern or human..?? 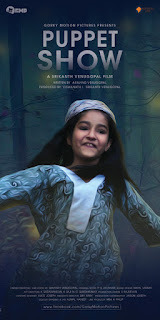 ?.It is also a story of innocence, Sacrifice, lost Childhood, Friendship. It is the story of one & all. 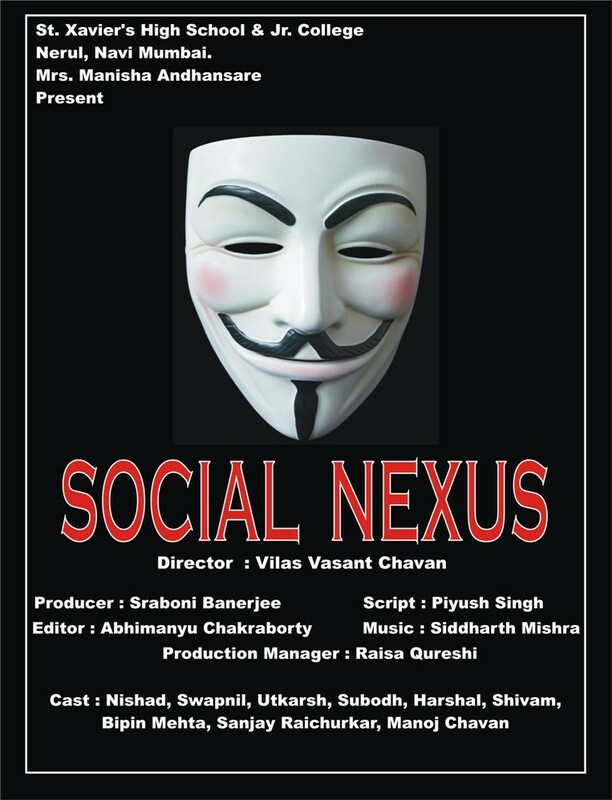 3rd Navi Mumbai International Film Festival NMIFF-2016 welcomes the submission of Student Shorts "Social Nexus" from India, Directed by Vilas Chavan. The film shows the adverse effect of social media on students. 3rd Navi Mumbai International Film Festival NMIFF-2016 welcomes the submission of Feature Film "Third Eye of God" from Mangolia, Directed by Dorjsuren Shadav. 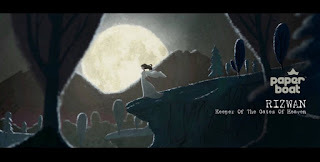 Sarah is a Mongolian women who does not want to give up her dreams in spite of facing countless obstacles. 3rd Navi Mumbai International Film Festival NMIFF-2016 welcomes the submission of Professional Shorts "Shivani" from India, Directed by Ujala Prasad. Urdu, the Hindustani language whose words resonate music, is fast dying. So is Naseema , an old tawaif , painter who is dying an unknown death. 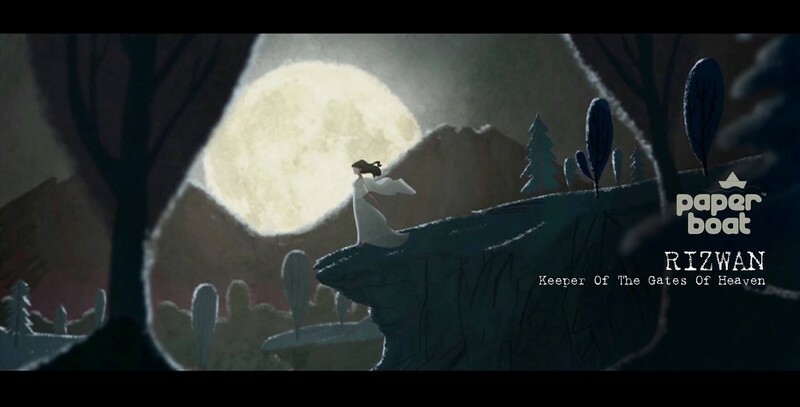 Having shut her eyes to the callous world, she has woven a charming little world of her own. Naseema's state of nonchalant bliss inadvertently drives her daughter Shivani into a world of bitter silences. And, across the road lives Sarfaraz, a tailor master who is eyeing Naseema's old jewelry box and her beautiful daughter. Amidst all this, Naseema, Shivani and Sarfaraz struggle to keep their culture alive, their ethos alive, their language alive, their love alive...in vain. 3rd Navi Mumbai International Film Festival NMIFF-2016 welcomes the submission of Professional Shorts "Yakub" from India, Directed by Kiransinha Chavan. The whole story revolves around the topic of ‘mind set’. Truth is relative. To accept it we have to consider so many factors. one of them is our mind set. Which handles crucial side of attitude. 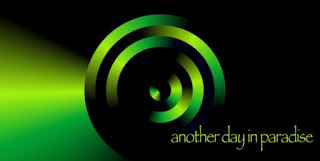 incidences in history and present helps us strengthen our attitude. but some times naked truth asks us a quest...and here is time to change our MINDSET. 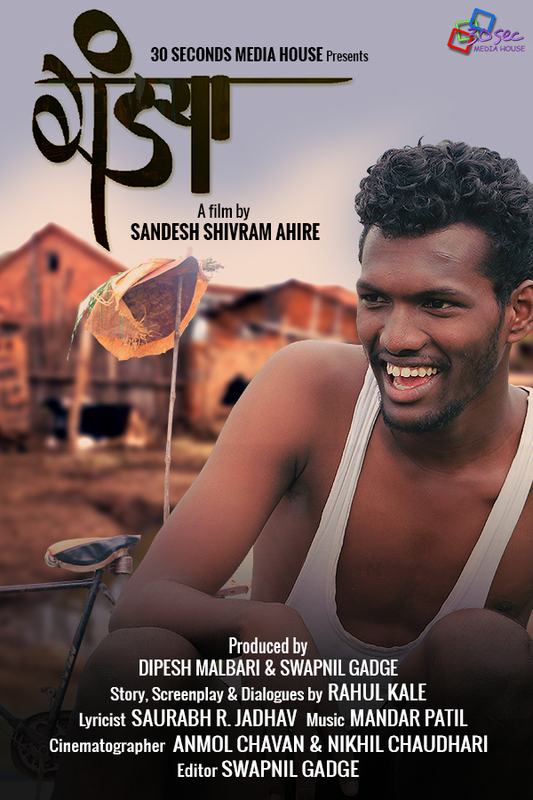 3rd Navi Mumbai International Film Festival NMIFF-2016 welcomes the submission of Feature Film "Peeda" from India, Directed by Hemant Verma. 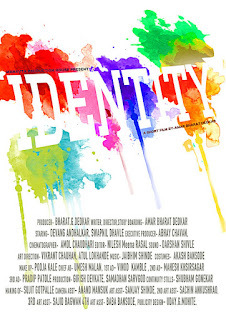 This film is on two characters who are strangers. One's need take him to second one. When he met the lady he found her passing through a very emotional social problem. He thinks if he fulfills the desire of his own son then he may also face the same problem, which the lady is passing through. He decided to walk out and help the lady to come out of it. 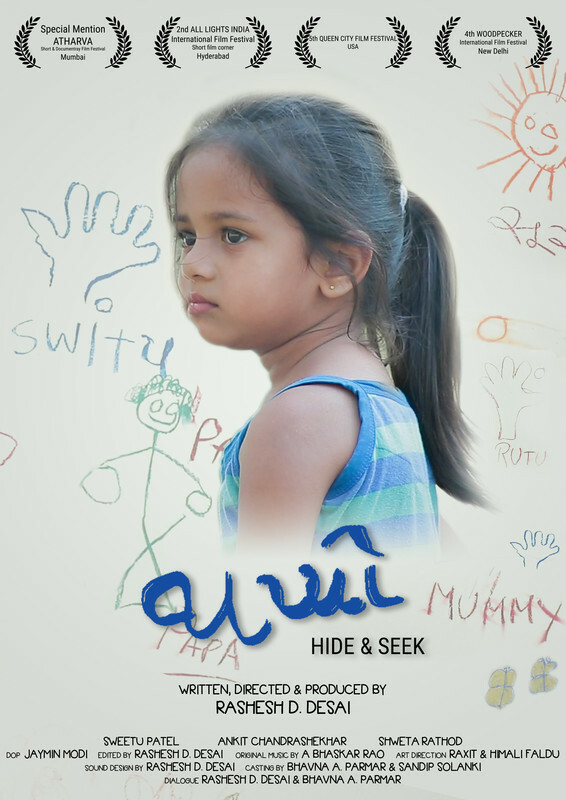 3rd Navi Mumbai International Film Festival NMIFF-2016 welcomes the submission of Student Shorts "Khushi" from India, Directed by Sulabha Ganage. 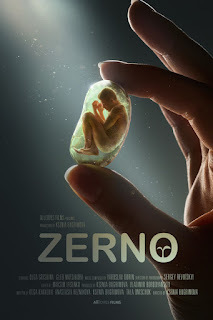 A film on eye donation. 3rd Navi Mumbai International Film Festival NMIFF-2016 welcomes the submission of Student Shorts "Siddhi-Story of an Unborn Child" from India, Directed by Sandeep Gupta. 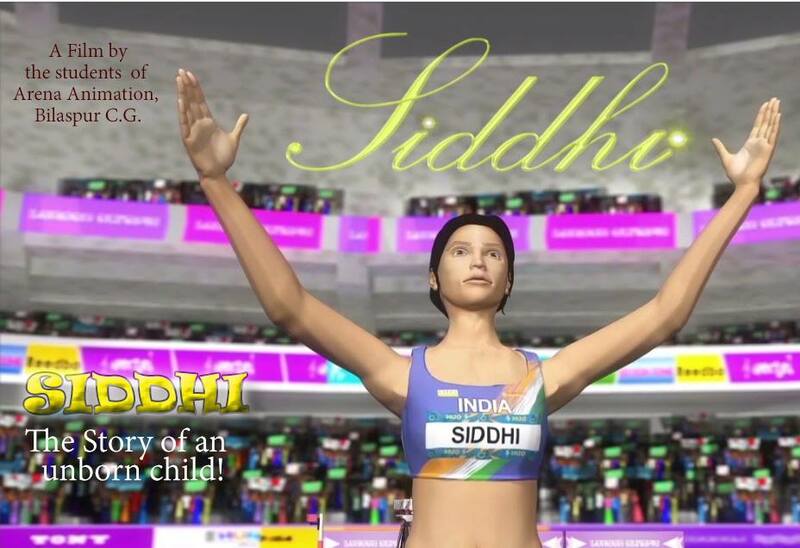 Siddhi is a movie based on Female Foeticide. This is the most prevalent curse of the society and we are facing this since long time, developing world has found new ways of identifying female child and killing her in the womb itself. 3rd Navi Mumbai International Film Festival NMIFF-2016 welcomes the submission of Feature Film "Beautiful Lives" from India, Directed by Kangkan Deva. 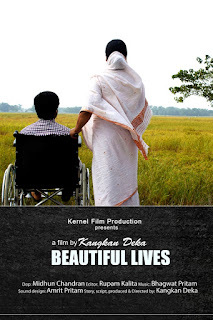 Story of a bomb blast victim & the circumstances he lives in after injury & becoming handicapped. 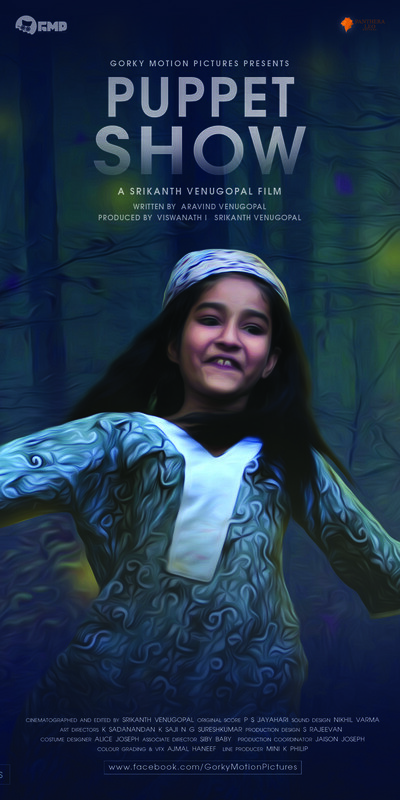 3rd Navi Mumbai International Film Festival NMIFF-2016 welcomes the submission of Student Shorts "Upahaar" from India, Directed by Husnea Fatema Zahan. 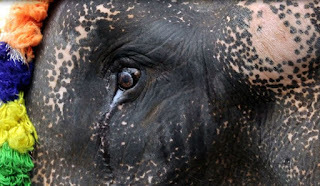 All living things want freedom but they are killed for fun or interest for human being. It is very harmful for a small living feature.